Even when you're watching TV alone, you've always got a friend in BuddyTV Guide -- the personalized listings and remote control app. Now, in addition to content providers Netflix, iTunes and Amazon, it's inviting another player to the viewing party: Hulu Plus. Subscribers to the service will be able to see all associated video content in the BuddyTV Guide listings, and better yet, access it directly from within the app. Intrigued, Hulu Plus patrons? Head on down to the source link, grab the relevant app and let the New Girl marathon commence. 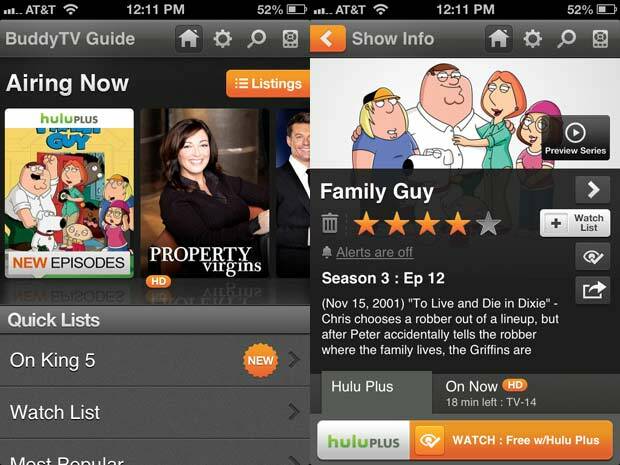 BuddyTV Guide app adds Hulu Plus integration originally appeared on Engadget on Wed, 10 Oct 2012 18:01:00 EDT. Please see our terms for use of feeds.